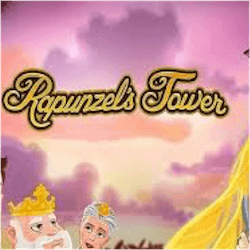 Quickspin have released an animated slot called Rapunzel’s Tower. The game looks just like a Disney cartoon with its slick animated graphics. The slot features all the reel symbols you would expect like a Prince, a King and Queen and of course the standard playing card reel symbols to fill them out. The theme may be an overused one as there are many fairytale themed slots out there, but this slot is feature packed and has a very high 97.09% RTP, placing it well above the win rate of most modern slot games. The reels use a standard 5×3 layout and Quickspin have included 20 paylines for players to place wagers of up to 180 on each spin. One feature that this slot includes that you don’t see often is a max bet bonus that activates when playing with the highest possible wager. The special feature that activates is the Bonus Wild Re-spin feature. Reels 2, 3 and 4 will see more bonus wilds appear on the screen. When 3 or more appear on the reels at the same time, they will freeze in place while the reels re-spin until the player makes at least one winning combination. Rapunzel is the wild symbol in this slot. She can appear stacked on the reels and if you manage to land 5 of her on a payline you can win 1000 coins as a jackpot prize. The main bonus games are the Free Spins feature and the Tower Feature. Free Spins are activated by the scatter bonus symbols. You can win 10 free spins, but the scatter symbols only appear on reels 2, 3 and 4. The Tower bonus feature tells the classic part of the story of Rapunzel where the prince climbs the tower that is keeping Rapunzel captive, by using her hair as a climbing rope. Every time you land a bonus wild on the reels during the free spins game, the prince will climb one step up the tower. 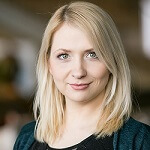 At certain intervals the steps can earn the player even more free spins. With its high Return To Player rate, its great bonus features and its premium look, Rapunzel’s Tower is another great game from Quickspin. The theme might not be to everyone’s taste, but give this slot a spin or two before you write it off.